In medium bowl, mix dressing ingredients until well blended and smooth. 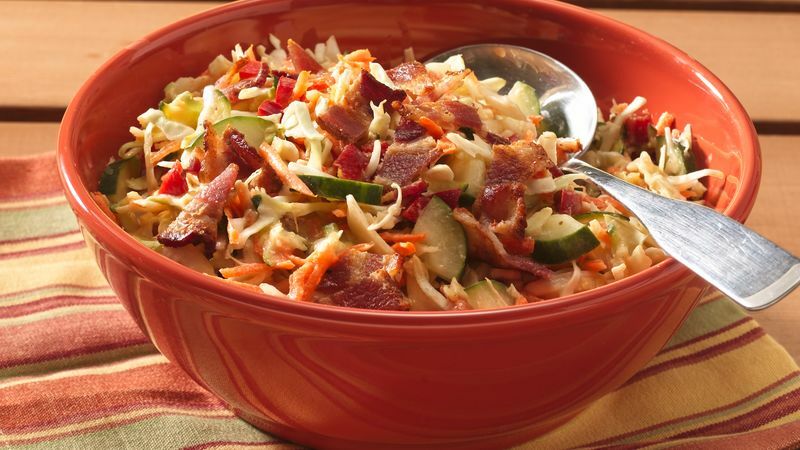 In large bowl, mix all salad ingredients except bacon. Add dressing; toss to mix well. Serve immediately or refrigerate until serving time. Spoon into serving bowl; sprinkle with bacon. Don't like the mess of cooking bacon? Look for precooked bacon in your supermarket, or use the vegetarian Betty Crocker® Bac~Os® bacon flavor bits or chips.